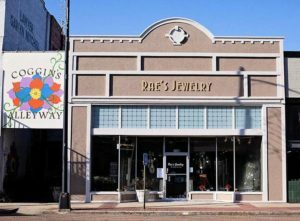 The Main Street Columbus Program kicked off on August 9, 1985, and is a 501(c)(3) public/private partnership receiving funds from the City of Columbus, County of Lowndes, fundraising efforts, donations and membership dues. Our work takes place with the help of a volunteer board of directors and our four working committees: Design, Promotion, Membership and Economic Restructuring. Main Street has been instrumental in the adoption of a historic preservation ordinance and tree ordinance and is proud to offer many community events/projects, such as Hitching Lot Farmers’ Market revitalization and operation, Noon Tunes, Columbus Christmas Parade, Wassail Fest, Art Walk Downtown, Lighting of the Community Christmas Tree, Sounds of Summer, Market Street Festival, Riverwalk Project, Leadership Plaza, Façade Grant Improvement Program as well as downtown landscape projects, murals and beautification. Main Street Columbus strives to present a vibrant downtown, which encourages people to live, shop, dine, work and play in historic downtown Columbus. Downtown Columbus is proud to offer approximately 175 upper level apartments and constantly enjoys a spirit of interest and investment. Main Street Columbus is supported by Mississippi Main Street Association and the National Main Street Center, a program of the National Trust for Historic Preservation. The Four-Point Approach®, on which Main Street operates, is a proven methodology for historic preservation-based economic development that was developed by the National Trust for Historic Preservation and is used in more than 2,000 communities through the United States. Enhancing the physical appearance of the commercial district by rehabilitating historic buildings, encouraging supportive new construction, developing sensitive design management systems, and long term planning. Marketing the traditional commercial district’s assets to customers, potential investors, new businesses, local citizens and visitors. Strengthening the district’s existing economic base while finding ways to expand to expand it to meet new opportunities – and challenges from outlying development. 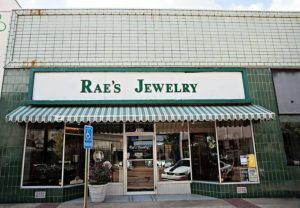 A successful Main Street depends on the support of the entire community. One is not required to have a business or own property in downtown Columbus to partner with Main Street. Most likely, every resident enjoys downtown in some way … you drive through downtown, shop or eat downtown, enjoy the beautiful Riverwalk Park or relax in Leadership Plaza, receive professional services or live downtown. Whether a private citizen, a community leader or a business or property owner, you can support YOUR downtown by joining Main Street Columbus today. Main Street Columbus received the prestigious Great American Main Street Award® (GAMSA) in 2010. Recognized as a leader by following the Main Street Four-Point Approach®, embracing sound historic preservation ethics and building strategic partnerships, Main Street Columbus was honored at the Main Street Awards Ceremony during the National Main Street Conference in Oklahoma City. The Market Street Festival, which began in 1996, takes place the first weekend in May each year. This diverse, family event has been named a Top 20 Event as well as Best Fundraising Event and Best Image Package by Mississippi Main Street Association. An estimated crowd of 38,000 – 40,000 attends the festival each year. Arts & Crafts, children’s activities, 5k run, car show, WCBI-TV “Crank It Up” car giveaway and musical entertainment are only a few of the highlights of this not-to-be-missed festival. What is the Façade Improvement Grant Program? come basis with the approved fund disbursed at the completion of the facade improvement.